Tumors can interfere with the surrounding healthy tissue. 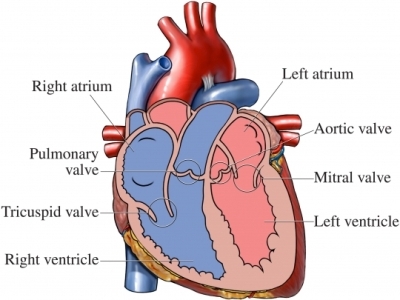 This can lead to heart failure , blockage of blood flow, problems with the heart valves, or blood clots. Atrial myxoma. EBSCO DynaMed Plus website. Available at: https://www.dynamed.com/topics/dmp~AN~T116760/Atrial-myxoma . Updated August 28, 2015. Accessed March 26, 2018. Warning signs of heart attack, stroke & cardiac arrest. American Heart Association website. Available at: http://www.heart.org/HEARTORG/Conditions/911-Warnings-Signs-of-a-Heart-Attack%5FUCM%5F305346%5FSubHomePage.jsp. Accessed March 26, 2018. What happens after heart surgery? American Heart Association website. Available at: http://www.heart.org/idc/groups/heart-public/@wcm/@hcm/documents/downloadable/ucm%5F300445.pdf. Accessed March 26, 2018.